I ALMOST fell off my chair, laughing incredulously over the weekend while listening to Zizi Kodwa condemn Bell Pottinger for having arrived in our country to “undo all the gains that have been achieved since the end of apartheid”. I must give it to him; he’s quite good, this Zizi fellow. Who trained him? This is the one man who has mastered the age-old art of saying anything that even he doesn’t seem to believe with a straight face, as if it came from the bottom of his heart. Well, it’s either that or he lives on a planet apart from the one occupied by the rest of us mere mortals. The sad thing is that there are still too many who seem to believe the things he says. The conversation we should be having about Bell Pottinger can be approached from a variety of angles. Of these, there are two that I consider crucial to helping us make sense of the nightmare we’ve been dragged through by this agency’s involvement in our fragile socio-political space over the past year or so. In my view, the most important angle to be mindful of is that Bell Pottinger did not arrive on our shores and enter our space alone, uninvited, with its own agenda. Conveniently, this seems to be the angle preferred by political communicators like Zizi Kodwa. It’s politically safe, as it helps them avoid tackling the elephant in the room, something they have become very good at. It also enables them to kick the dirty can to a spot outside someone else’s door. But we shouldn’t blame them; tackled with honesty, this angle leads one into the darkened corridors of power – places where political communicators, who are often scripted messengers, would rather not hang around in. Their self-preservation relies on how well they pretend such an angle doesn’t exist. PR and communication agencies do not just arrive and unpack their tools of trade uninvited. Instead, they do work commissioned by others. They respond to invitations to pitch, listen to client briefs and suggest campaign ideas. Who invited this agency to South Africa? Who (names of individuals involved and the capacity in which they were involved) appointed and briefed it? What was the nature of their brief, and what were the touch points? What were their contracted deliverables and performance indicators? Given that their campaign ran for just over a year on a monthly retainer before Bell Pottinger ostensibly withdrew its services, what was in its monthly progress reports? Can they be made public? Who attended regular meetings with the team from Bell Pottinger, and what was said and recorded in those meetings? Who on the ground was paid to disseminate its campaign messages, particularly on white monopoly capital? What was the nature of the relationship between Bell Pottinger and the ANC Youth League, Women’s League, Umkhonto We Sizwe Veterans Association, Jimmy Mzwanele Manyi, Black First Land First etc – all of them entities/individuals who support President Jacob Zuma and are in favour of his ex-wife Dr Nkosazana Dlamini-Zuma succeeding him as president of the ANC and, God forbid, South Africa? We should ask these questions and more because going by much of what has been reported in the media, the nature of the brief given to Bell Pottinger seems more political than corporate. We need to understand what was at play and identify all key players in this carefully scripted saga, beyond the obvious Gupta-owned Oakbay Resources. Without answers to these questions, our assessment risks being limited to Bell Pottinger’s modus operandi alone, away from connecting the many dots that seem to make up the murky political environment in which this agency was commissioned to operate. 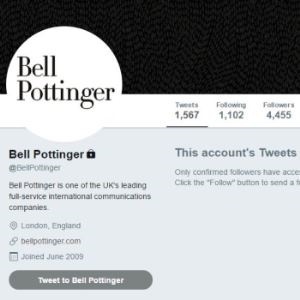 We would also not understand whose interests were meant to be served by Bell Pottinger’s campaign, as well as the ends it was designed to achieve. The second angle requires that we interrogate Bell Pottinger from the perspective of industry values and ethics, and ask whether its conduct could be deemed to have been professional throughout. This seems to be the angle preferred by many commentators as it allows easier, even safer, stoning of Bell Pottinger as the only culprit, with few political risks for the beneficiaries of the campaign it was paid hundreds of millions of rands to run. Most PR and communication agencies belong to professional bodies that have a code of ethics, as well as rules and regulations meant to guide their conduct. The UK has the Chartered Institute of Public Relations (CIPR), of which Bell Pottinger would be a member. It’s reassuring to know that the CIPR is already investigating Bell Pottinger’s conduct. In South Africa, many similar agencies would be members of the Public Relations Institute of Southern Africa (PRISA), among other bodies. There are probably many more who, for various reasons, operate outside the confines of PRISA. But this is a discussion for another day, another column. Because they’re often members of sector professional bodies, PR and communication agencies would be guided by the codes of ethics and other rules and regulations espoused by their professional bodies in choosing the nature of projects to work on, and how to go about delivering on them. In the case of South Africa, practitioners are expected to embrace the values of advocacy, i.e. serving the public interest as responsible advocates of the agency’s clients; honesty by adhering to the highest standards of accuracy and truth in advancing clients’ interests; expertise by acquiring and responsibly using the specialised skills at their disposal; independence by providing objective counsel to their clients; loyalty by being faithful to their clients while honouring the agency’s obligation to serve the public’s interests; and fairness to ensure that agencies deal fairly with their clients, employers, competitors, peers, vendors, the media, and the general public. Similarly, agencies are expected to respect all opinions and support the right to freedom of expression. Bell Pottinger’s professional conduct will be dealt with in the UK. Our biggest concern in South Africa should be ensuring that our attention is not diverted by fork-tongued political communicators away from the cancer that is eating away at the fabric of the society we have been trying to build after the end of apartheid – the elephant they steadfastly refuse to look in the eye.